Late fall in the Northeast, and the last remnants of color linger on oaks and maples, birch trees toss gold leaves into wind. Meanwhile the world lists around us. Chaos that seems larger than anything we can imagine explodes around us: Paris, Syria, the Ukraine, Europe, ISIS. A climate summit with darker agendas of one-world government looms. Somehow we sense we’re headed this November into deeper and murkier waters, worldwide, as governments tighten their security ropes, pass laws suppressive and invasive of privacy rights and free speech. Yet there’s tremendous hope for all of us–this fall has already seen the sharing of free energy technologies (the Keshe Foundation’s), millions more of us are awakening worldwide, and taking action to speak out and resist and challenge those laws and invasions. Pulling hard against the tide of censorship too are individual poets and writers and memoirists, working in small spaces with private experience and private lexicons of form and language, and continuing to carve out with their words oases of vast freedom. Delphi is pleased this issue to feature the work of two talented poets, Mary-Sherman Willis who writes movingly of her teenage son’s artistic and individuating exploits in Graffiti Calculus (CW Books/WordTech, 2013), which she speaks about with poet, editor, and teacher Marcene Gandolfo, and Marcene Gandolfo herself, who explores experiences of motherhood, miscarriage, and transforming loss through language in her debut book of poems, Angle of Departure (Cherry Grove Collections, 2014) which she talks about with poet Barbara Crooker. We hope you’ll take a break from your work to read these thought-provoking interviews. Please look below or click on Current Issue for more. If you’ve appeared in Delphi before, please send in news of your latest publications, reviews, websites for inclusion in Writers’ News. Please send an email to Delphi anytime with Writers’ News/Your Name in the subject line. What is the Interview Connector? Essentially, every writer appearing here in Delphi is invited to interview a writer he or she knows, a model we also call on every previously-profiled writer to follow! Whether a short interview or a long one, we’d appreciate hearing about the writers you know. Delphi seeks to be a democratic venture and a space for many voices. We encourage writers to help spread the word about Delphi, as well as actively participate by interviewing deserving writers. Please see our Guidelines page for how to query us. Delphi aims to step beyond the cacophony of voices of conventional “power” in the news to highlight the voices of the truly powerful thinkers, artists, actors, and visionary dreamers among us, however widely or slightly published or known they may be. This feature was inaugurated by editor Ramola D ((Marching) Toward a New Freedom) and doesn’t seem to have caught on like wildfire among our astonishingly silent writers in the Age of Surveillance we’re currently living in, but we live in hope! We are looking for op-eds, on a subject of your choice. Please send a brief query, if interested. Delphi hopes to expand (probably over the next year) into a full literary quarterly (publishing fiction, poetry, and creative non-fiction, in addition to interviews and op-eds), while also seeking funding. Delphi is in other words seeking to pay its writers and interviewers! If you’d like to be part of this expansion in some capacity, please drop a line. Delphi Quarterly is pleased to feature two thoughtful and intriguing poets this issue, who each delve into their experiences of life and motherhood in tandem with close workings of language and fascinations with form to create poetry of both emotional depth and verbal delicacy. Interestingly, one of these featured poets is the interviewer of the other poet. Marcene Gandolfo, our doubly celebrated poet this issue, is featured by poet Barbara Crooker, herself featured in Spring 2015, who returns in our Round-Robin Interview series (currently running with WordTech Press poets) to present her own interview with a poet. Marcene also offers her own interview, a conversation with poet Mary-Sherman Willis. Many thanks to both dedicated writer-interviewers, Barbara Crooker, and Marcene Gandolfo for the time they have taken to work on these compelling interviews. Marcene Gandolfo, poet, writer, editor, and college professor speaks with Mary-Sherman Willis about the themes and stories in her new collection, Graffiti Calculus, touching on issues of conception, theme, and influence, as Mary-Sherman Willis discusses the experience of exploring her teenage son’s world, the subject of her work in this book, along with abiding interests in mathematics and language. Mary-Sherman Willis’s book of poems, Caveboy, was published by Artist’s Proof Editions as a limited edition art book and an iBook for iPad in 2012. Graffiti Calculus, a book-length poem published in November 2013 by CW Books/WordTech, was nominated for a Pushcart Prize. 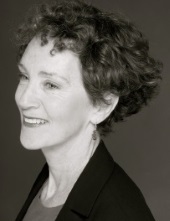 Her poems and reviews have appeared in the New Republic, the Hudson Review, the Iowa Review, Shenandoah, The Southern Poetry Review, Poet Lore, The Cortland Review, Archipelago.org among others. They have been featured in Ted Kooser’s “American Life in Poetry” and in several anthologies. She has received fellowships and residencies from the MacDowell Colony, the Virginia Center for the Creative Arts, and the Sewanee Writer’s Conference, where she was a Tennessee Williams Scholar. She serves on the board of the Folger Library’s O.B. Hardison Poetry Series. With an MFA from the Warren Wilson Program for Writers, she teaches at George Washington University, and splits her time between Washington DC and Rappahannock Co, VA.
Barbara Crooker, highly-awarded poet, whose “Selected Poems” was recently released, speaks with Marcene Gandolfo about issues of theme, structure, and form in the creation of Angles of Departure, as Marcene Gandolfo discusses questions of motherhood, loss, grieving, and the transforming of grief that her poems in this book sought to address. Marcene Gandolfo’s debut book, Angles of Departure (Cherry Grove Collections, February 2014), is a collection of poems that explore motherhood, grief, compassion and healing. Last year, the book was a finalist for the Melissa Lanitis Gregory Poetry Prize and the Patricia Bibby First Book Award and a semi-finalist for the Washington Prize. Her poems have been published widely in literary journals including Poet Lore, Bayou, DMQ Review, The Café Review and Paterson Literary Review. 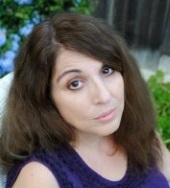 She has taught writing and literature at several northern California colleges and lives in Elk Grove, CA. Delphi offers links at the end of each interview to the profiled book/s online, as well as to other author pages. As Delphi closes out 2015 with this late Fall issue–we invite writers, poets, memoirists, essayists, playwrights, and filmmakers everywhere to join us–interview a fellow/sister writer or filmmaker, write an op-ed on a current issue of your choice, offer us insights into your writing residencies, centers, and workshops! If you have been interviewed in these pages, we invite you to join the Interview Connector, to follow up with an interview of your own, to introduce a wonderful and deserving writer you know to a larger audience. Or, if you run a small press, consider setting up Round-Robin interviews with your best writers, where writers interview each other. We are also keen to have regular interviewers on board. Please drop in at our Guidelines page, send us your thoughts. We want to hear from you!